Apple Says it Maintains 514,000 Jobs in U.S.
Apple responds to criticism about manufacturing overseas with claim of 514K jobs created in U.S.
Apple has put up a new page on its website touting that it has created some 514,00 jobs in the U.S., reports All Things D. The company says that the jobs stem from various aspects of its business here in the states, including manufacturing, application development, its own employees and more. The page quotes reports from various analysis groups and focus on several major areas. Jobs at Apple, its Retail Stores, customer support call centers based here, U.S. Jobs supported by Apple and the ‘app economy’ created by its various App Stores. 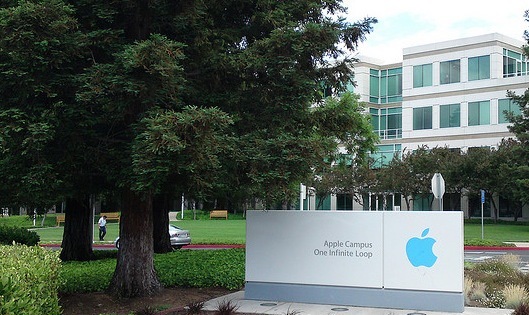 A study by Analysis Group found that Apple has directly or indirectly created 304,000 U.S. jobs. *These jobs — spread across all 50 states — include thousands of jobs in numerous industries, from the people who create components for our products to the people who build the planes and trucks that carry them to our customers. For example, this figure also includes workers in Texas who manufacture processors for iOS products, Corning employees in Kentucky and New York who create the majority of the glass for iPhone, and FedEx and UPS employees. Together with the 210,000 iOS jobs generated by the app economy, these 304,000 jobs make a total of 514,000 U.S. jobs created or supported by Apple. In a recent New York Times article on Apple’s business in China, a famous quote by founder Steve Jobs was pulled out about jobs leaving the U.S.. “Those jobs aren’t coming back,” Jobs said in reply to a question from President Obama about how to bring the manufacturing here to the states, rather than rely on China. The app economy has also been a hot topic lately with a recent report indicating that 466,000 jobs have been created by it since 2008. It can’t be argued that the market is infinitely larger since the App Store hit the scene. This is an interesting move from the company and can be seen as a response to some who believe that Apple should move more of its business, especially manufacturing, back to the United States from other countries like China. It’s Apple saying, ‘hey, we do create and maintain a lot of jobs here still.’ While it doesn’t reply directly to the decades-long shift of manufacturing overseas by tech companies, it does make a direct statement about its contributions.